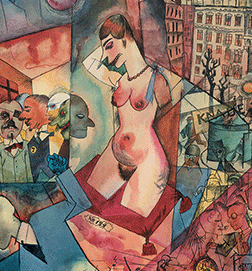 This exhibition is devoted to Berlin during the Weimar period. 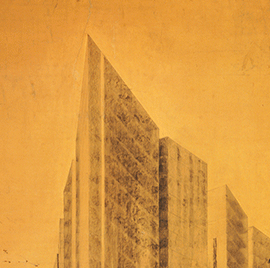 The show explores the city using a multi-media approach, revealing this complex period through painting, drawing, sculpture, collage, photography, architecture, film, and fashion. 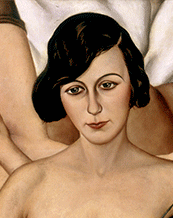 The Neue Galerie is the sole venue for this show, where it will be on view through January 4, 2016. 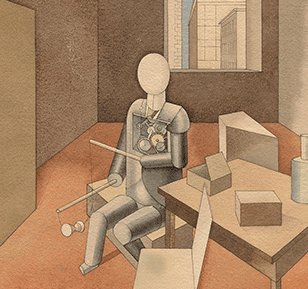 The exhibition is organized by Dr. Olaf Peters, Professor of Art History at the Martin-Luther Universität Halle-Wittenberg, a distinguished scholar and historian. 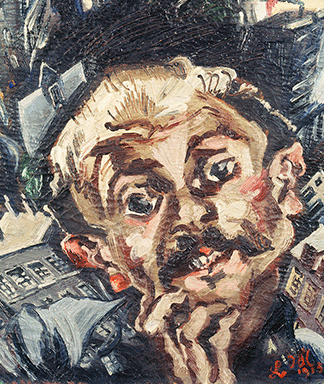 Dr. Peters curated the 2013 show at Neue Galerie, "Degenerate Art: The Attack on Modern Art in Nazi Germany, 1933," as well as the 2010 show "Otto Dix." 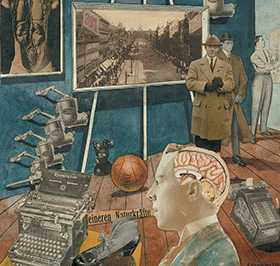 Pandiscio Co. is the exhibition designer for "Berlin Metropolis," as well as the designer for its accompanying catalogue. 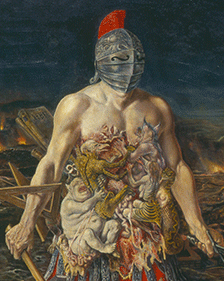 Approximately 300 works will be on display, organized into five thematic groupings: The Birth of the Republic; A New Utopia; The "Neue Frau," or New Woman; The Crisis of Modernity; and Into the Abyss. 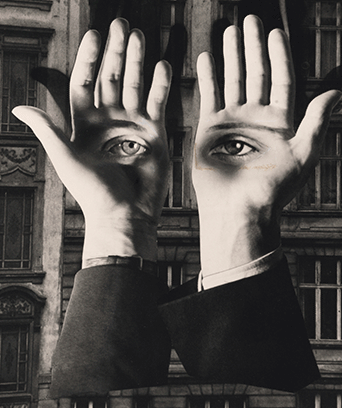 Highlights of the show include a number of major works created in Berlin during this time, such as Herbert Bayer, The Lonely Metropolitan (1932), Max Beckmann, Film Studio (1933); George Grosz, Metropolis (1017); Raoul Hausmann, Dada Triumphs (The Exacting Brain of a Bourgeois Calls Forth a World Movement) (1920); Ludwig Meidner’s I and the City (1913); Lily Reich’s Collage (1930); Rudolf Schlichter’s Blind Power (1937), Georg Scholz’s Of Things to Come(1922), as well as major works by John Heartfield and Hannah Höch. 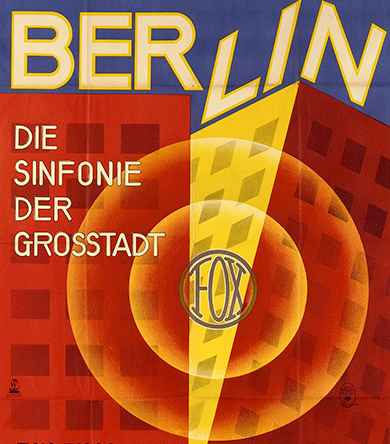 Between 1924 and 1929, Berlin became the most “American” city in Europe, and jazz, advertisements, and cinema played a central role in its development. The urban experience was expressed through works of art and through mass culture—magazines, photographs, and posters all boldly proclaimed the spirit of modernity. The concept of the “Neue Frau”—the modern, emancipated woman—helped move the city in a new direction. 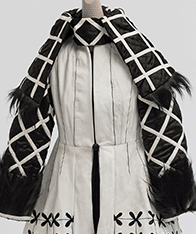 The exhibition at the Neue Galerie includes evidence of all these shifts, including fashion of the time. Finally, Berlin became a hostile stage for political confrontation between the left and the right and was deeply affected by the economic crisis and mass unemployment at the end of the 1920s. The experiences of social and economic crisis and despair began to overshadow the “golden years” of Berlin. The exhibition catalogue, published by Prestel Verlag, provides a complete historical overview of the period. 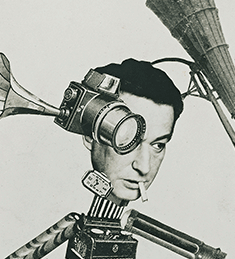 It examines subjects ranging from art and architecture to film, music, fashion, and the “New Woman.” Dr. Peters serves as the catalogue editor, which features contributions from such scholars as Leonhard Helten, Sharon Jordan, Jürgen Müller, Janina Nentwig, Dorothy Price, and Adelheid Rasche.